IBPS Result 2019: Below are the latest results published by IBPS - IBPS - Institute of Banking Personnel Selection / ibps.sifyitest.com. The recent result announced by the organization is CWE Clerk VII Provisional Result 2019. 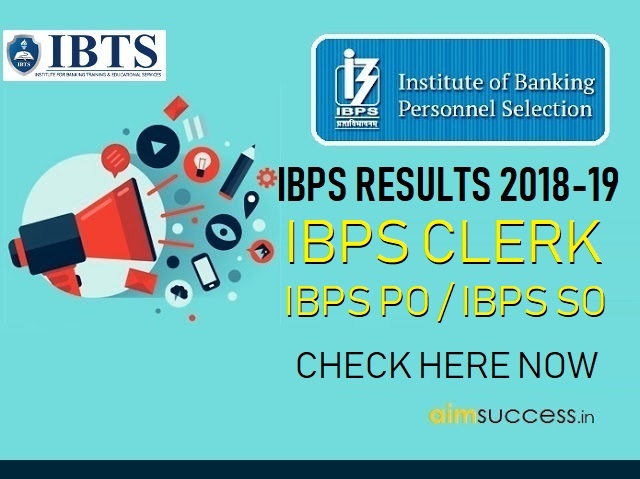 IBPS Clerk final result 2018-19 declared! Issued on: 31 Mar 2019. 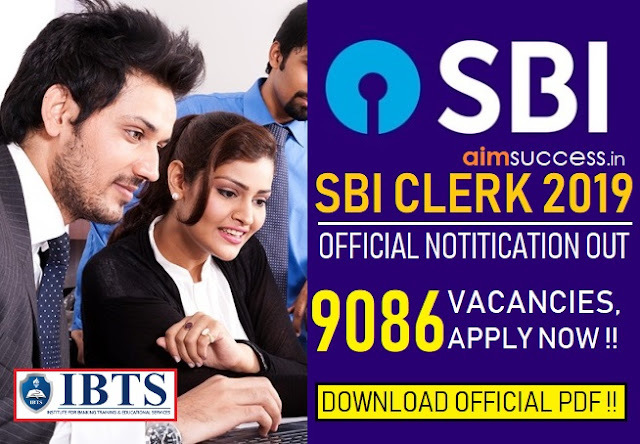 The Institute of Banking Personnel Selection (IBPS) has released the Main Examination result of the IBPS Clerk VIII Recruitment 2018-19. IBPS has shortlisted those candidates who have qualified IBPS Clerk Main Examination 2018-19. The candidates who have cleared the final cutoff have been allotted one of the Participating Banks. The allotment of banks has been done on the basis of candidates' merit and preference order of the bank. IBPS Clerk Main Result 2018-19, Check Here! IBPS PO final result 2018-19 out! Issued on: 01 Apr 2019. The Institute of Banking Personnel Selection has declared the final result of the IBPS CRP- PO/MT-VIII Recruitment 2018-19. The result link is active now on the official website of IBPS. Shortlisted candidates have been allotted one of the Participating Banks under IBPS recruitment 2018-19. The allotment of banks has been done on the basis of candidates' merit as well as preferences order of the bank. IBPS PO Final Result 2018-19, Check Here! IBPS SO final result 2018-19 declared! Issued on: 01 Apr 2019, The Institute of Banking Personnel Selection (IBPS) has released the final result of the IBPS SO CRP VIII Recruitment 2018-19. IBPS has shortlisted candidates who have qualified IBPS SO Mains and appeared in the Interview Procedure for specialist officers post. The candidates who have cleared the final cutoff have been alloted one of the Participating Banks. The allotment of banks has been done on the basis of candidates' merit and preference order of the bank. The candidates who were eligible for the Interview Process of IBPS SO 2018-19 can check their provisional allotment result status now through the link provided below. IBPS CWE SO Final Result 2018-19, Check Here! 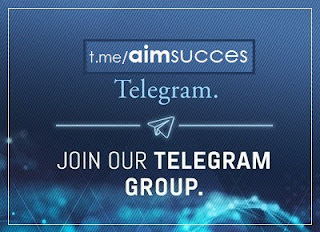 Congratulations to all the successful candidates. We wish you a rewarding career with public sector banks of India!! The candidates who have qualified the these Exams of 2018-19 can also there Cutoff has also been released by IBPS.